Suffolk County Police Homicide Squad and Arson Section detectives are investigating a house fire that killed a man and a dog in North Amityville this morning. Update - January 5, 2017 - Hector Rodriguez, 45, of Hollis, Queens, has been identified as the man who was killed in the house fire in North Amityville on January 4. North Amityville, NY - January 4, 2017 - Suffolk County Police Homicide Squad and Arson Section detectives are investigating a house fire that killed a man and a dog in North Amityville this morning. Police responded to 25 Jefferson Ave. after a 911 caller reported a house fire at approximately 10:40 a.m. Firefighters from Amityville Village, North Amityville, Copiague, North Lindenhurst, East Farmingdale and members of the Wyandanch-Wheatley Heights Ambulance Company responded. 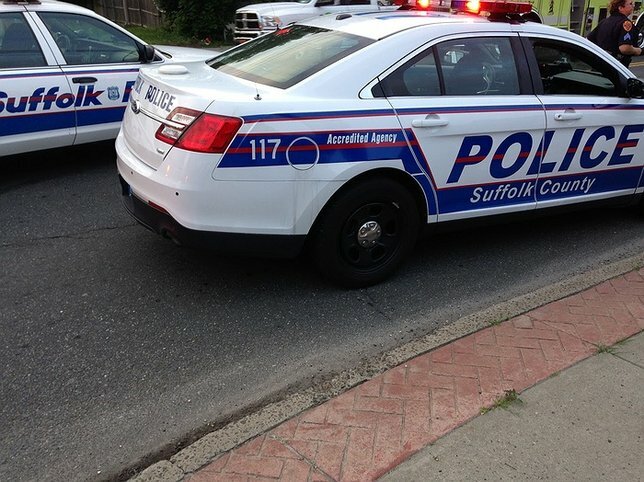 An adult male, who does not live at the home, was pronounced dead at the scene by a physician assistant from the Office of the Suffolk County Medical Examiner. The man’s name is being withheld pending positive identification by the medical examiner. Two women, who live at the residence, were transported to area hospitals for treatment of minor injuries. A dog was also killed in the fire. Subject: LongIsland.com - Your Name sent you Article details of "Man, Dog Killed in House Fire in North Amityville"